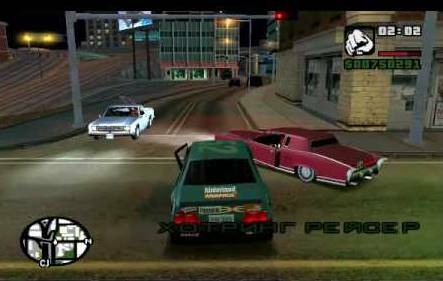 GTA San Andreas car cheats codes – GTA is an action-adventure games published by Rockstar Games. It is the third installment of the Grand Theft Auto series. GTA San Andreas is best-selling PS2 video games of all time. It also praised as one of the best video games of all time. This game is very popular in the world and successed by GTA IV and GTA V.
In this game, there are numerous GTA San Andreas cheats codes that can be used. This cheat is very common for each gamers in GTA that it almost impossible to play this game without using cheats. There are many popular GTA cheats such as money cheat, health cheat, weapon cheat or cheat to spawn vehicle and object. We can spawn many car or other vehicle using cheats. There are various car we can spawn using cheat, such as racecar, bloodring banger, limo car, romero hearse, caddy and ranger (police car). Other vehicle and transportation we can spawn including trailer, monster truck, trashmaster, quad, bulldozer or even boat, helicopter, plane and jetpack. Here are full list of GTA San Andreas cheats codes for PS2 to spawn car, vehicle, transportation, traffic and other vehicle-related effects. Here are full list of GTA San Andreas cheats codes for Xbox to spawn car, vehicle, transportation, traffic and other vehicle-related effects. Here are full list of GTA San Andreas cheats codes for PC to spawn car, vehicle, transportation, traffic and other vehicle-related effects. Those are full list of GTA San Andreas car cheats and codes to spawn vehicle and other traffic effect for PS2, Xbox and PC. We can spawn many vehicle such as racecar, trucks, police car, helicopter, jetpacks, plane, tank, boat and many others using GTA cheat above, 100 percents work.